Many owners would be surprised to know that canine skin conditions are surprisingly common. In fact, skin complaints are the number one canine health problem addressed by veterinarians in the U.S. Although they may seem like a minor annoyance, some skin conditions can be painful and debilitating for your pet. Any responsible and caring pet owner should make identifying the cause of their dog’s skin complaint a priority, so that treatment to alleviate his symptoms and the reason for them can start as soon as possible. One of the most difficult things about treating skin conditions is identifying the cause of it. Skin complaints can arise for a phenomenal list of reasons, and in many cases, it is a process of elimination to discover what is causing your dog’s discomfort. Often, treating the cause of the skin complaint is the key to providing effective treatment for the relief of your furry pal’s symptoms. - Parasite infestations, and in particular flea infestations. The majority of dogs are allergic to flea bites, and they can cause a condition referred to as flea bite dermatitis. - Fungal infections. Ringworm is a highly contagious infection that can spread to other animals and humans very quickly, so you will want to seek treatment for this problem as soon as possible. Ringworm presents as a red, circular, crusty rash on your pet’s skin. - Allergies. Allergies are just as likely to affect your pet as they are your human family, and your furbaby could be allergic to a wide variety of different things that he has been exposed to. Common pet allergies include food intolerances and environmental allergens. - Autoimmune disorders. Occasionally, skin conditions won’t heal no matter what you try. When this happens, it can often be the result of your canine pal having an autoimmune disorder. - Reaction to a vaccination or booster. Some pets have side effects to their immunizations that include a rash, itchiness or other skin complaint. The best way to treat your dog’s skin condition is to identify what is causing it. In some instances, such as a flea infestation or ringworm, the cause might be quite obvious. However, if the skin disorder is the result of an allergy or a medical condition, it may require more extensive detective work to uncover the cause of the problem. Dry, itchy skin conditions can be extremely annoying for your dog. Other ways in which you can help him at home include ensuring he is drinking plenty of fresh water (this will help to flush out any toxins and keep his skin hydrated) and grooming him daily. Daily brushing eliminates any debris or parasites from his coat and stimulate the natural production of lubricating and moisturizing oils. Finally, make sure that you don’t bathe him too often. Frequent bathing can actually dry the skin out further, causing it to become dry and irritated. If you believe that your dog is suffering from a skin condition, our veterinarian is the best person to contact and to turn to for advice. 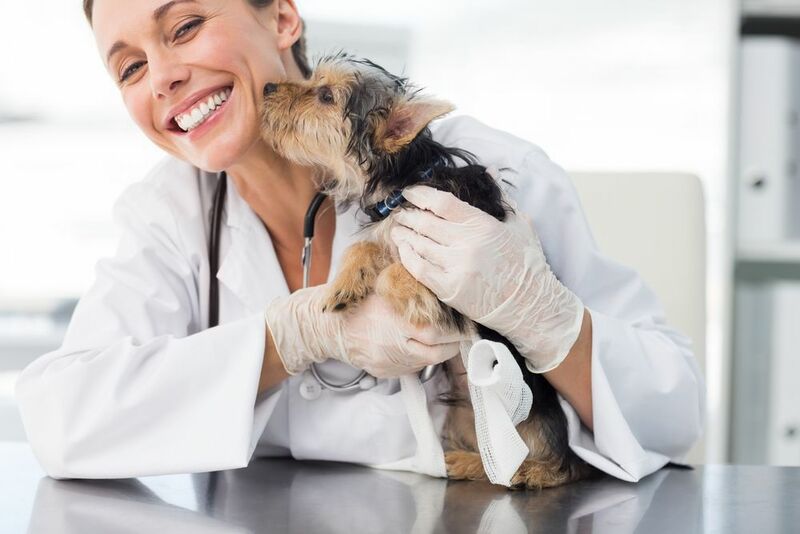 He/she will have the specialist knowledge and experience to be able to make a fast, accurate diagnosis so that you can get your furbaby the treatment he needs as soon as possible.